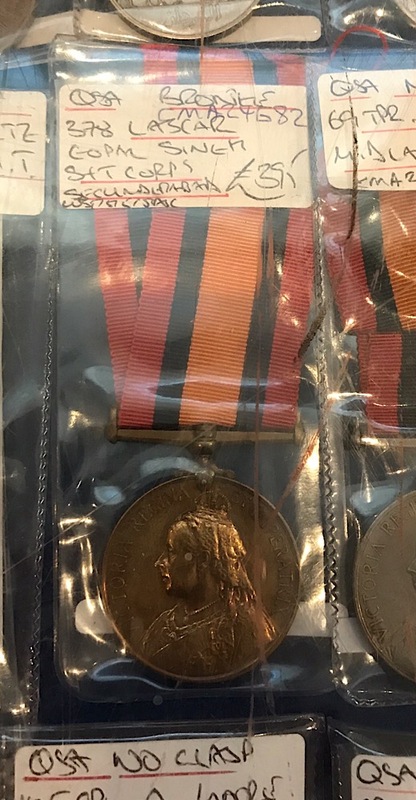 As previously reported in posts 57994,57995 & 58017 in this thread, Dooly Bearer Khayoo's medal was auctioned in the auction rooms of Dix, Noonan & Webb last September. 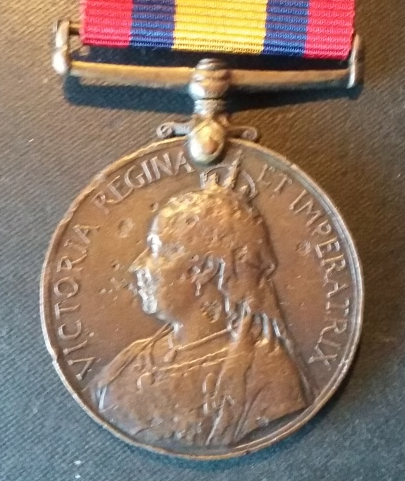 The medal seemed unfancied and now is in my collection of Dooly Bearers who were at Talana, via a dealer, to whom it was hammered. 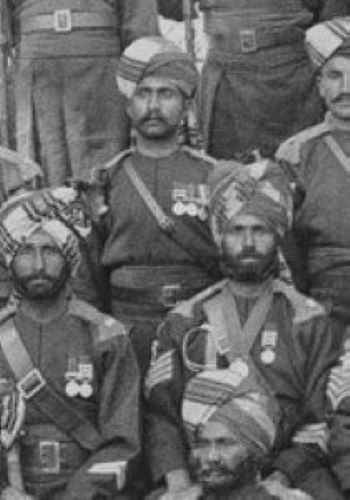 I have learnt how to download files from the Indian Digital Archive so here is evidence of the, missing three clasp I.G.S.Medal & evidence of service at Talana. Available on BoB at present. 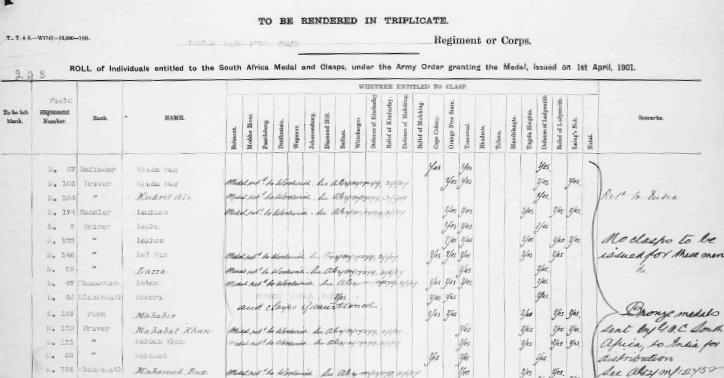 The medal roll shows that he was entitled to 3 clasps - Transvaal , Tug Heights , Defence of Ladysmith , but unfortunately clasps were never supplied with the Bronze medals . Unfortunately not the rare combination of Tugela Heights & Defence of Ladysmith. 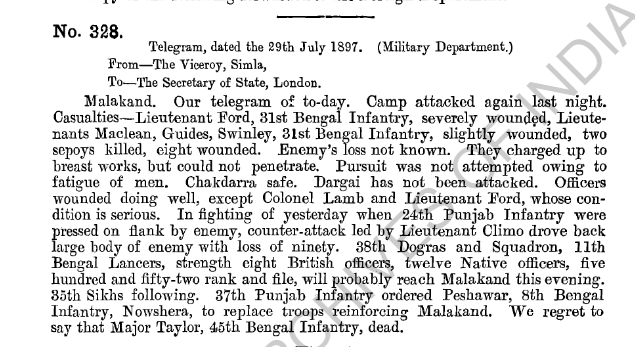 Interestingly he is down as "returned to India" & "medal returned 31st January 1907. 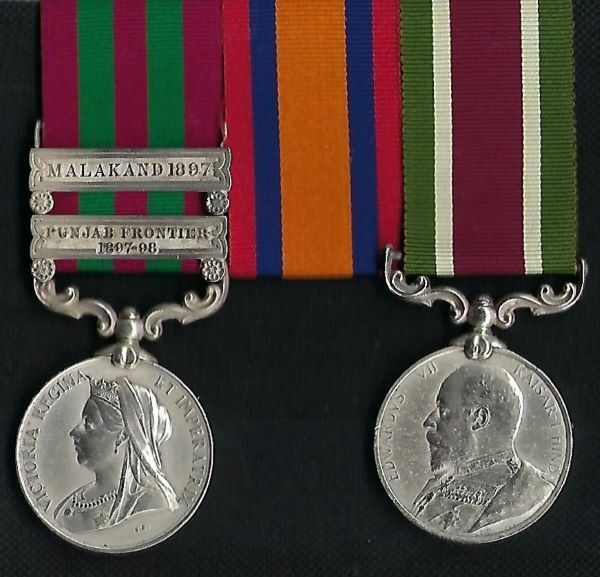 Queen’s South Africa Medal “Orange Free State”;” Transvaal”; “South Africa 1902”	2506 Sowar Khairullah Khan 11th Bengal Lcrs. 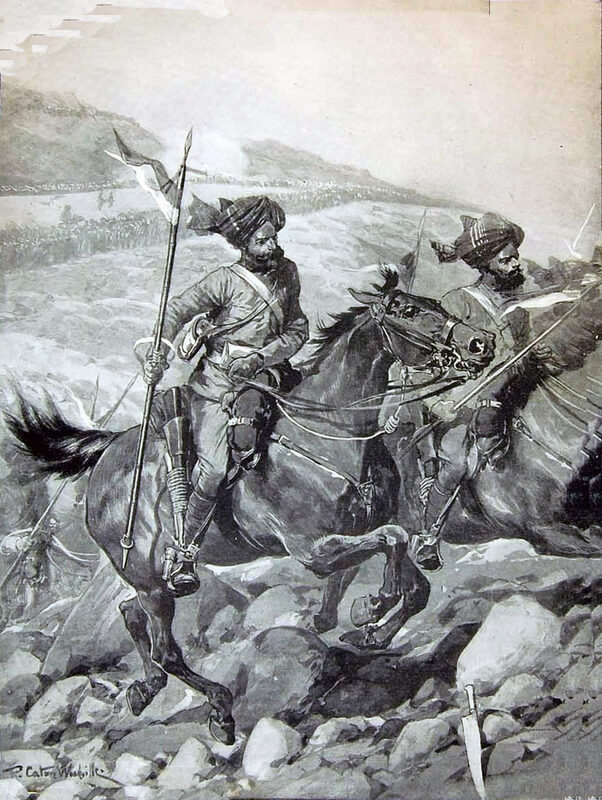 pursue the enemy, the majority of whom had withdrawn in the direction of Khar and Butkheyla. 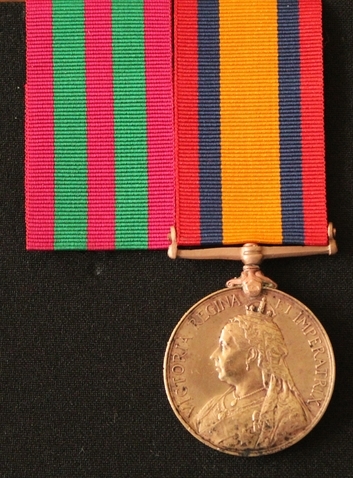 From - Lieutenant A.B. Minchin. Assistant Political Agent, Chakdarra. 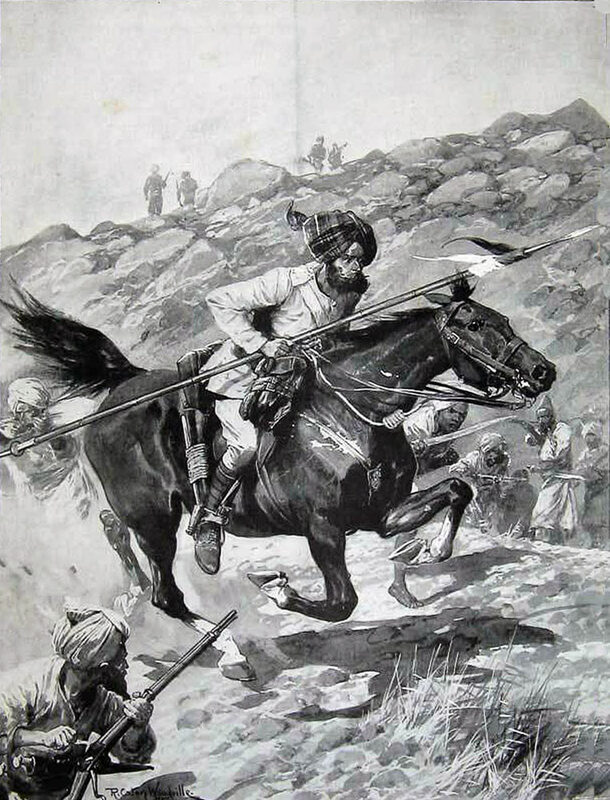 ground being heavy he got rather ahead of his men. Near him on his left was Lieutenant R. T.
further to his left, and a little in rear, rode Lieutenant-Colonel R. B. Adams with his galloper. South Africa – 1902, presume service with the Remount Depot.
" Transport Aurania sailed 8th April due Durban 21st April. On board :- First remount depot and Native personel for two British and one Native ield hospitals"
Tantalizingly there is a photograph of the Duffadars of the Regiment in the Royal Collection of a man wearing the same combinations of medals.